Every blog should have this little gem of a plug-in. This greatly speeds up your site’s loading time by emptying all caches on your server. It also stores static (cached) files of your blog, which will make page viewing time a whole lot faster. This plugin has many options that help you config various caching parts: page cache, database cache, browser cache. It also has options to integrated with CDN and minify HTML/JS/CSS to make your pages load faster. Akismet fights and filters out spam in the comments section by checking user comments against the Akismet spam database. If a comment shows signs of being spammy, it marks it as such and warns the blog owner accordingly. Great plug-in if you want your site free from annoying spammers. Note: If your host or server has problem with WordPress cron, don’t use Akismet as it will flood your database. See more details here. In this age of smartphones, tablets and other forms of on-the-go computing, more and more people are accessing the Internet from mobile gadgets, instead of dedicated workstations like desktops and laptops. Since websites are rendered differently on mobile devices, blogs and other sites should be optimized for mobile viewing. MobilePress makes your site mobile-friendly with just a click of a button. The FireWall 2 is an indispensable plug-in to protect your website or blog from hackers and other malicious attacks. It automatically detects and blocks hacking attempts, and protects other plug-ins from the same kind of attacks. It’s easy to install: just download, unzip and you’re ready to go. All settings are pre-configured so there is no need to change anything. As the name suggests, this underrated, yet handy, plug-in creates printer and pdf friendly versions of your pages. Has the option to remove images and text sections so you can print only the things you want. You can also edit the page before printing or turning it into a PDF. There you go. A small list of our favorite plug-ins. 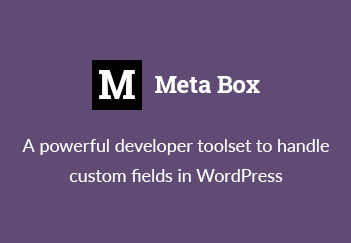 Can you think of other plug-ins which will be of great use to WordPress users? What with e-commerce web sites and cache plugins? E-commerce doesn’t work with cache – do you have some alternative for this, to speed up e-commerce sites (with web shops), and that everything works without any issues? Thx! Which e-commerce plugin are you using? I have no problem with wooCommerce and W3 Total Cache. WordPress SEO is a good plugin. I also highly recommend using it, too. I also used SEO yoast but really a help full post as i would surely try the alternatives also . All listed plugins are highly important and help in keep your WordPress websites healthier. The post https://deluxeblogtips.com/2012/08/dont-use-akismet.html had recommend DO NOT USE Akismet. I think it right. Use another plugin to replace is the best solution.